A masked gunman uses a [[SIG-Sauer P226]] DAK. Alejandro also uses a SIG. A masked Alejandro uses a [[SIG-Sauer P226]] DAK. Alejandro also uses a SIG. Sicario 2: Day of the Soldado is the 2018 sequel to the 2015 crime thriller Sicario. 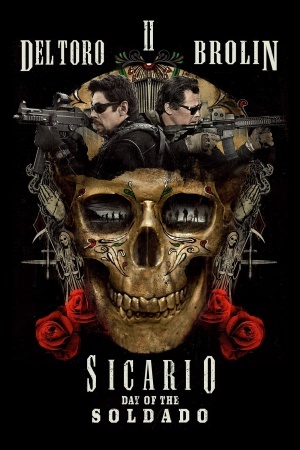 The sequel was written by Sicario screenwriter Taylor Sheridan and Benicio del Toro returns as the mysterious operative Alejandro, who reunites with the US government operative Matt Graver (Josh Brolin) in order to start a war between the cartels and terrorist factions. Jeffrey Donovan also returns as Steve Forsing from the original film. A Beretta 92FS can be seen used by Alejandro (Benicio del Toro). The Beretta 92FS is wielded. 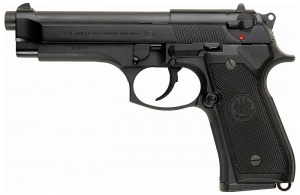 A Beretta 92FS can be seen used by Alejandro. He uses his left index finger to "bump fire" the pistol. A masked Alejandro uses a SIG-Sauer P226 DAK. Alejandro also uses a SIG. 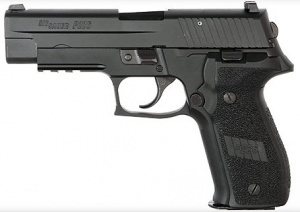 A masked gunman uses a SIG-Sauer P226 DAK. Alejandro also uses a SIG. A masked gunman uses a Heckler & Koch MP5A3 during an ambush. 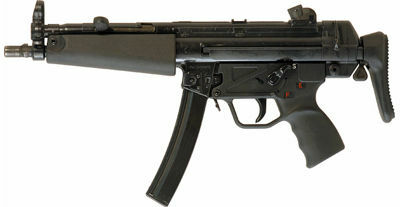 Matt also is seen with an MP5A3. A masked gunman on the left uses a Heckler & Koch MP5A3 during an ambush. 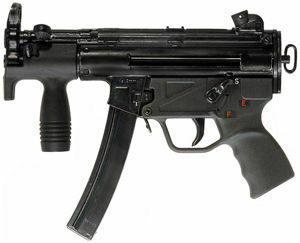 A Heckler & Koch MP5K is used. 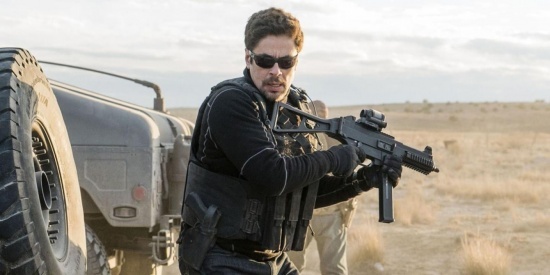 Alejandro (Benicio del Toro) uses a Heckler & Koch UMP with a Trijicon SRS attached. The M4A1 Carbine is used by various government agents including Steve Forsing (Jeffrey Donovan). On the left, some agents along with Steve Forsing (Jeffrey Donovan) are armed with the M4A1. On the right, some agents are armed with the M4A1. Mk 18 Mod 0s are used by various government agents as well. Matt (Josh Brolin) uses a Daniel Defense DDM4 "M4A1" with a foregrip, Magpul PMAG and EOTech sight as his main weapon as he did in the previous film. Matt on the left with the DDM4. 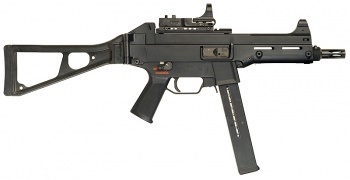 One of the operatives can be seen wielding a Heckler & Koch G36C with an EOTech sight. The operative on the right raises his Heckler & Koch G36C. One of the masked gunmen is armed with the Norinco Type 56-1, the Chinese copy of the AKS-47, identifiable by their hooded front sights. One of the cartel soldiers is armed with the Norinco Type 56-1, identifiable by their hooded front sights. A Mexican Federal Police officer is seen firing a pickup-mounted FN M240B machine gun.